From breeding to feeding to processing following delivery – we offer you wide knowledge. This basis for a successful and modern eel farming is appreciated by our customers. Since 1989, we are developing continuously so we are now market leader in our line of business. Besides purchasing and trans-European marketing of about 600 tonnes of eel, we are also specialized in eel farming. 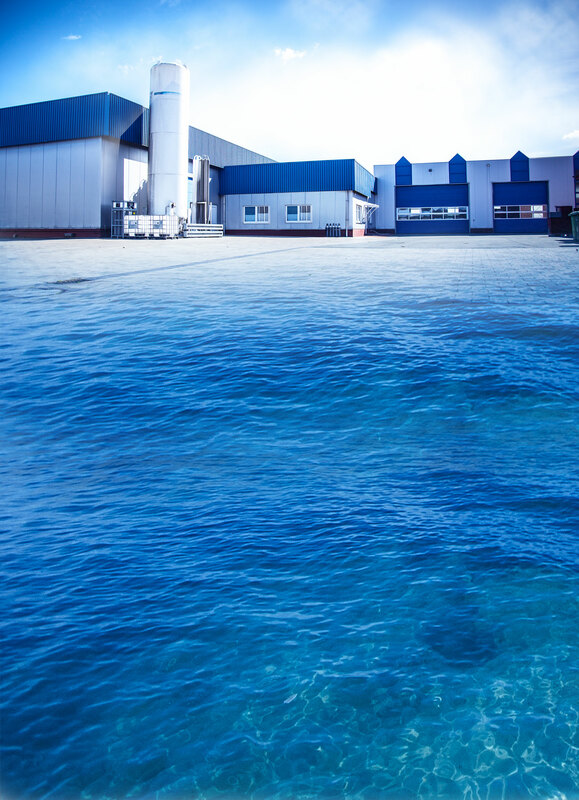 Every year 320 tonnes of eel are produced and processed at our location in Haren-Rütenbrock. Our team consists of 10 qualified and responsible-minded employees. So we can meet the high requirements for permanent species-appropriate husbandry. As requested, we ship the eels dead or alive and in different sizes. About 1,5 million eels in various ages live at an ideal breeding temperature of 24° degrees Celsius in 60 bassins in total. These bassins undergo constant biological cleaning processes. Here, the water quality is of importance. The metabolic products are filtered and treated with the help of bacteria in bio filter towers. Therefore, about 10 per cent of the daily water is renewed. The oxygenated water ensures an oxygen content of about 8.5 till 9.5 mg per liter which is ideal for species-appropriate husbandry . According to size, the eels are sorted fully automatically. We are working with latest technology which enables fast and clean processing. We place value on carefull treatments and species-appropriate husbandry. We can process up to 4000kg eel per day. The animals are killed automatically and be guted and cleaned afterwards. After processing, the eels are prepared for shipping to customers or to smoke houses throughout Europe in hauliers or in our own vehicles. The eels are shipped in special vehicles. This ensures a safe transport for our eels. We deliver sorted eels in different sizes between 150 and 1000 g.
The eel is a popular food fish. For that reason, its natural population declined extremely in the last 30 years. Today, it is an endangered species which has to be protected. For this reason, fisher and tradesmen founded an initiative to protect the European eel (Förderung des europäischen Aals e.V.) in Hamburg, Germany. In close collaboration with eel research teams (e.g the institute for freshwater fishery) and national and international authorities, this association takes care of the European eel protection. According to research studies, stocking the rivers with young eel is an effective method to protect endangered species in Europe. Additional to freshwater fisher’s and angler’s work, three young eels are released in special river areas for every eel that is sold. Releasing big female eels in barrier-free areas is next up on the agenda. These eels, wich are ready to spawn are raised in our special bassins. We raise about 6 million young eels for releasing every year in European streams. The European eel (anguilla anguilla) lives in saltwater as well as in freshwater regions. The eel is indigenous in the Baltic Sea, North Atlantic, North Sea and many more European waters. The eel swims back to the Sargasso Sea to spawn. Between brown algaes, the eel spawns up to 2.0 million eggs per bodyweight. The larvaes set off to their long way to the European coasts. They need about 3 years for this journey. Depending on the geographical location, they stay there for up to 12 years before they cross the ocean again back to Sargasso Sea. In the closing stages of their journey their body is brought to full maturity and ends with spawning in March and April. In March 2013, representatives from fishing, processing and trade have launched a campaign to promote the European eel. The focus is on the preservation of the eel and the increase of natural eel population in European inland waters. It is no secret that the eel is an endangered species. Especially in the last decades its population decreased radically. Statistics show that the stocking of suitable waters with young eels ist he most efficiant measure to ensure the survival of eel stock in Europe. The EU eel regulation envisages increasing of young eels within Europe. The central funding: Additional to freshwater fisher’s and angler’s work, three young eels are released in special river areas for every eel that is sold. Releasing big female eels in barrier-free areas is next up on the agenda. 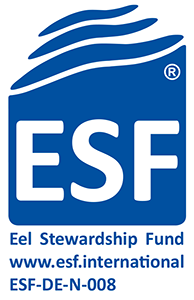 All members see the basis for a sustainable eel marketing in eel stocking. This ensures a controlled management of the European eel stock in accordance with trade, fishery explotation, marketing and conservation. Are you interested in high-quality eels? So contact us. Use our online contact form. If you transmit data to us, this is done with your consent to data processing in accordance with our data protection declaration, which you can view here.